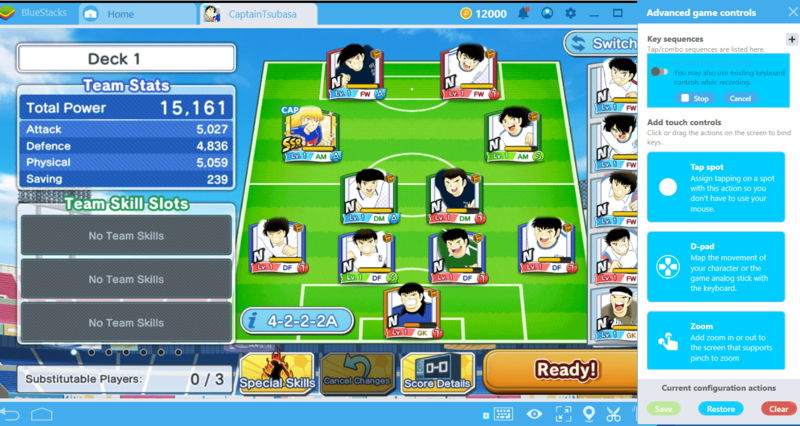 BlueStacks just released the 4.2 version and added the “Combo Key” feature that aids faster-than-ever gameplay experience. This is truly a unique feature that works like a macro recorder for Android games: It allows you to record everything you “do” on screen as a macro and replay it with the press of a single ‘hotkey’ when required. You can check out the BlueStacks Combo Key Setup Guide to find out how to set it up on your system. This feature allows you to record all your key presses, mouse clicks, movements and other things (even idle time) you do inside the game. You can then replay all of the recorded actions at will, with the press of a single key. 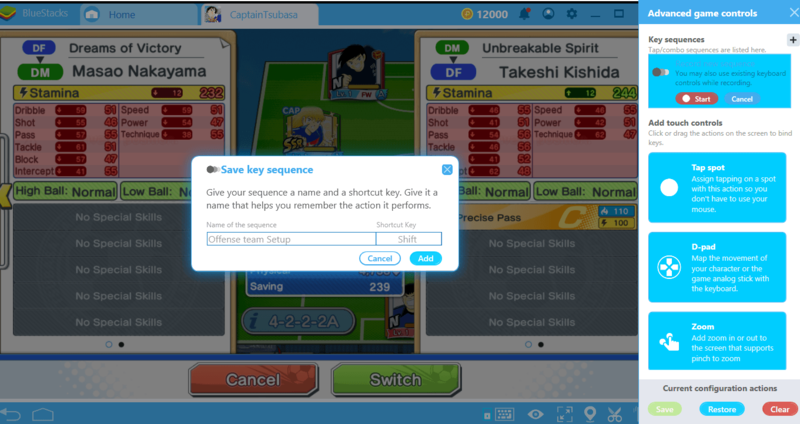 The things you can do with the Combo Key feature are unlimited: No matter which game you are playing, you can save key sequences and repeat all of them with a single button. As a result, you can focus on building and executing game strategies and not just giving your fingers a workout! You don’t believe us? Let’s take a look at how you can take advantage of this feature even in games where gacha mechanics are used. 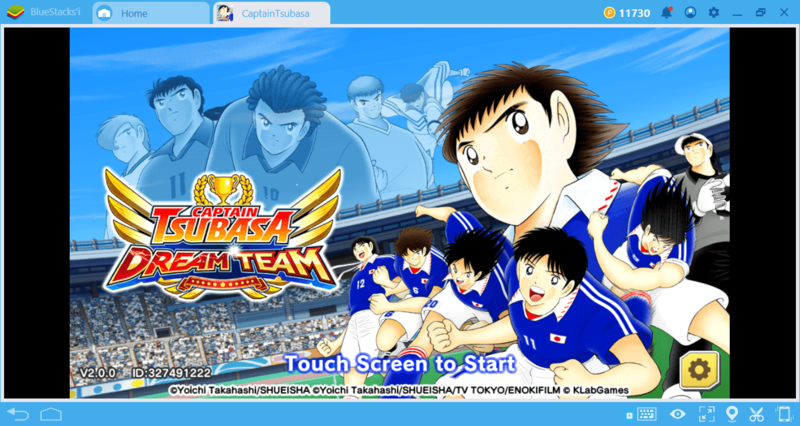 Captain Tsubasa: Dream Team is one of the best examples we can give in this regard. 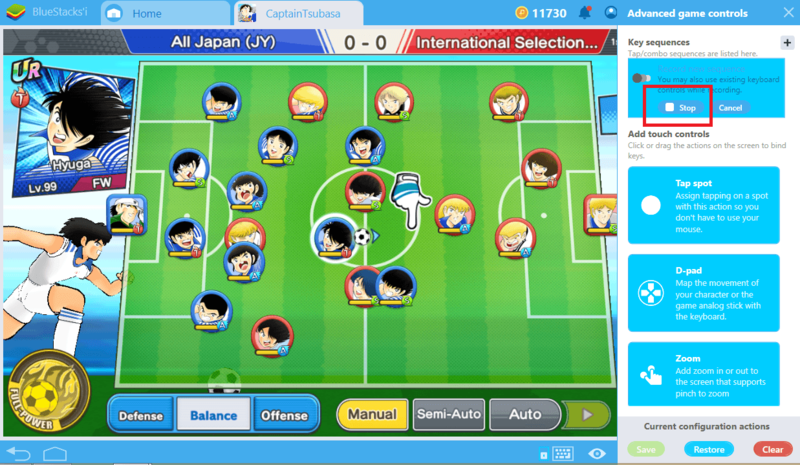 Adapted from the famous cartoon series of the same name, this football-themed game uses both gacha and strategy mechanics. 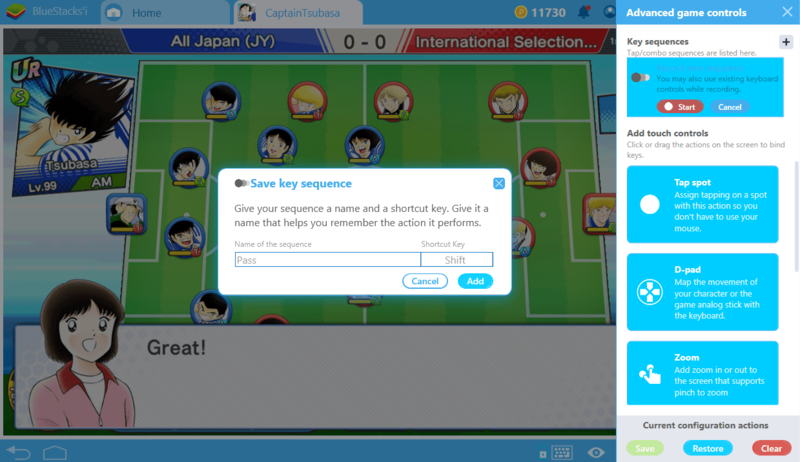 Thanks to the Combo Key feature, you can be more effective on the football field and focus on the fun side of the game! You have to click on the players to pass the ball. And believe us, this starts to get boring pretty soon because you have to do it all the time and at least 15-20 times in a single match. 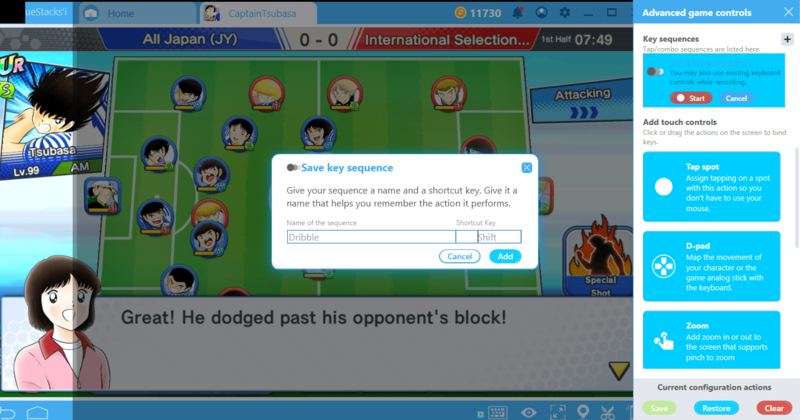 Instead, the Combo Key feature lets you pre-record all the pass movements and easily reach the opponent’s goalpost with a single button. Start by clicking the keyboard icon in the lower right corner of the interface: The menu you use for the key-mapping tool now includes Combo Key too. To start recording, simply press the “+” button. After that, continue to play the game and determine how the pass chain will occur. BlueStacks 4.2 will continue to record keystrokes or mouse inputs until you press the “stop” button. When you are finished, stop the recording. Give a name to the sequence you saved and assign a specific key to it. In the future, you can only use that key to repeat all of the key and mouse inputs you have recorded. It’s just like creating a macro in your favorite game for future use. Scoring a goal has never been so easy! 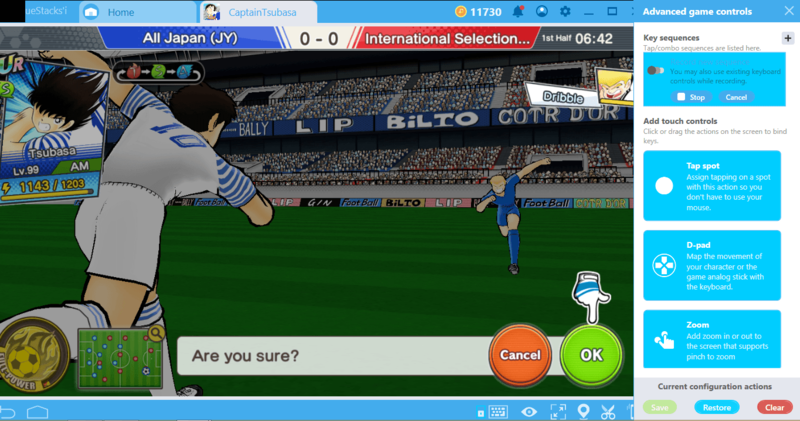 But a two-dimensional football field is not the only feature of Captain Tsubasa. When you get too close to the goalpost, you will have to pass a player from the opponent team. This struggle takes place on a three-dimensional screen. Your player has different skills and you can beat even the most powerful opponent by using them in a series. 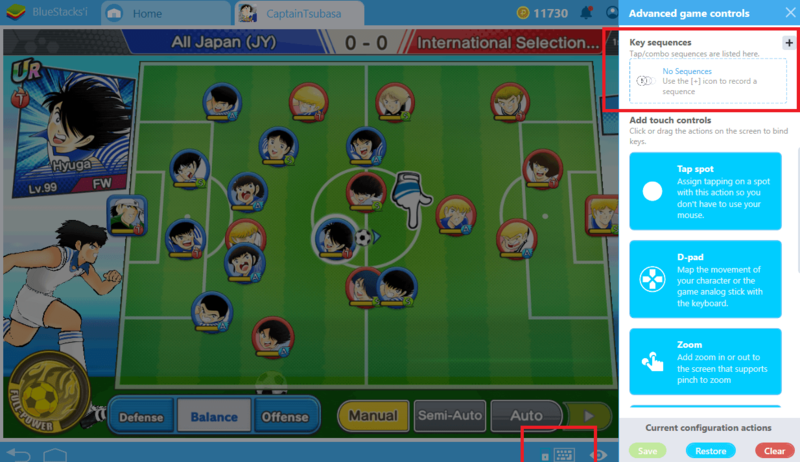 Take a look at the screenshot below: The buttons at the bottom show the skills you can use. If you use them to create a specific combo, you can easily beat the opponent. Now, you know what to do: Start the Combo Key recording and select the skill combo you want to use. You can create more than one combo based on the opponent’s skills and give each a different name. After creating the combo you need, press the stop button. Finally, give this sequence a name and assign a shortcut. You no longer have to press multiple buttons when you encounter a similar opponent or remember which combo you should use. 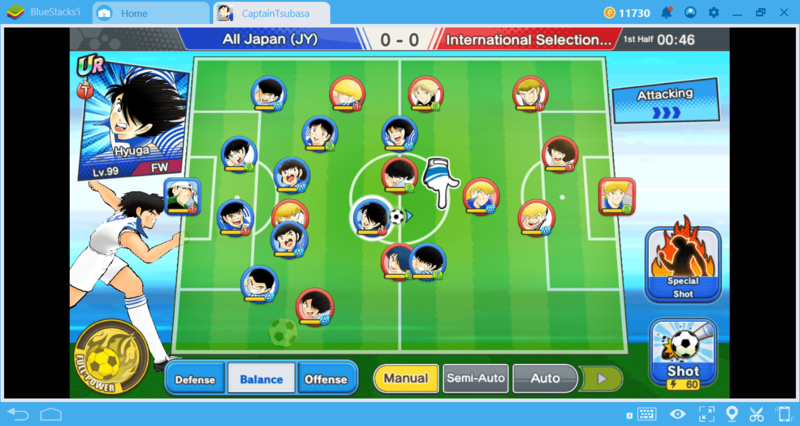 You can use the best possible skill combination for each opponent with just one push of a button. Team display screen. We are currently playing offense, but we must switch to defense strategy. Start the recording. We changed the positions of the players in the team and set up a defense-focused formation. Give this formation a name and assign a hotkey. 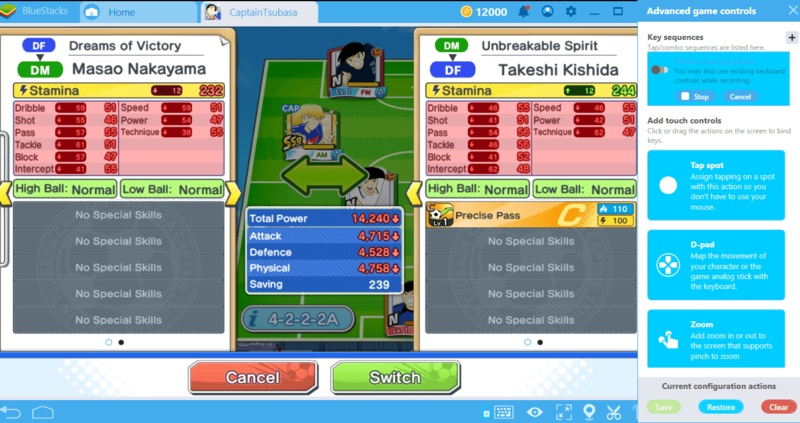 Now, we can automatically switch to this team setup in the future. You can create multiple team setups and assign a shortcut to each. With a bit of creativity, you can find a lot of ways to use Combo Key to your advantage: Don’t forget to share them with us in the comments section. There are many more articles we’ve prepared about this new feature – take a look at them and discover how your gaming experience can be more fun with BlueStacks 4.2. With the Combo Key feature, you’re sure to have a lot of fun in every game. Good luck!